PhUn Times Make Great Science Outreach! PhUn Week is an annual week-long event sponsored and encouraged by The American Physiological Society to promote science outreach in K-12 education. The event stands for Physiology Understanding, and encourages K-12 teachers to team up with higher educators for the purpose of developing experiences for young students to learn and explore the world of physiology. The benefit of the relationship is the practical knowledge of designing and implementing age-appropriate lessons, provided by K-12 teachers, paired with the vast expertise of the subject matter, provided by the physiologist. Together, great things can be established. If you’re a K-12 teacher like me, the thought of attempting PhUn Week for the first time is exhilarating, overwhelming, and a little bit scary. The concept sounds like an incredible experience for students, and a perfect opportunity to make science come alive, but where do you start? How do you design (or sometimes borrow) activities that will work? How do you structure the event? With so much freedom to design an event that works for you, the task can quickly turn grandiose. The best advice APS gave to me was to start small. After completing two years of PhUn Week, I can state with confidence that it does become easier to plan and to build in more layers over time. -I taught my students, then they taught elementary students, then my students had an opportunity to learn directly from our visiting physiologist. Who do you want to involve in the event? -My culminating event was on Friday of PhUn Week, where 6th grade students were bussed to our campus to interact with my high school kids, and when the visiting physiologist was available to come. If you want to involve more than your own students, planning early is crucial in order to complete all necessary paperwork and approval processes. -A familiar phrase to teachers, but don’t forget to apply it during your planning. The APS site has some great resources shared by previous teachers that can be used or modified to fit your needs. Does your physiologist have access to lab supplies to borrow, or previous lab activities that you can modify to your target audience? With so many details to plan, it isn’t necessary to write all of the lessons from scratch. 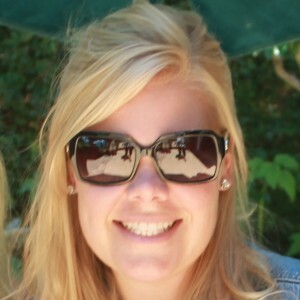 -What resources do you have available that can enhance your event while reducing some of the teaching from your plate (by jesse)? If your physiologist isn’t available for the entire week, perhaps some graduate students can attend, or perhaps some of your room parents are experts in the field. Inquiry-based lessons that involve student discovery are powerful. You shouldn’t do all of the teaching. -Regardless of the actual time you allocate to PhUn Week, the fact is that students are gaining a new experience to interact with science in a fun and memorable way. Keep it simple, keep the focus on them. Are you ready to get started? I’d love to hear your ideas! 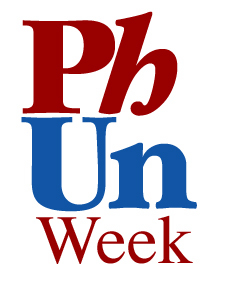 Have you participated in PhUn Week before? What type of event did you establish? What are some words of wisdom you can share from your own experiences?